You can connect your tracker account on https://www.relive.cc/settings/connections. 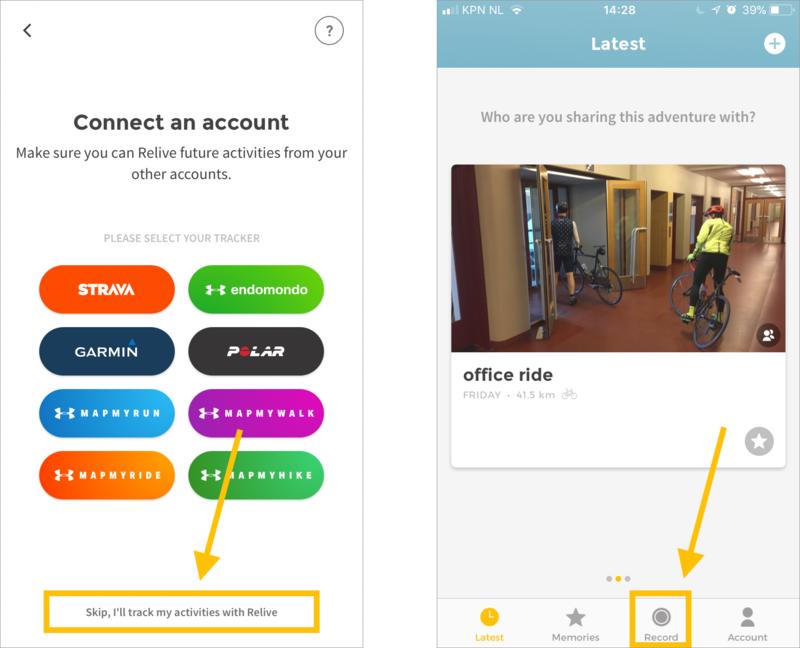 When you connect your tracker account you allow Relive to acces the data of your activities (only the activities that are upload as public to your connected tracker account). Click on one of the trackers below to see how to connect an tracker account or choose Relive to track. Others trackers will be added in the future. In the meantime please consider that you can download your activities and post them on one of these platforms to start enjoying your videos. Oooh.. and don't forget to send a an email to us and your tracker app, so we both know you want us to hook up! You can also consider to use the GPX import button on relive.cc, it's reserved for Club members only. With this button you can import GPX files from activities extracted from other platforms.